A comprehensive history of the church. 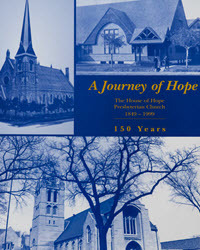 A Journey of Hope by David Johnson, traces the history of the two churches founded by Edward Duffield Neill and the successors at Summit and Avon which since 1914, has been among the most well known and influential in American Presbyterianism. 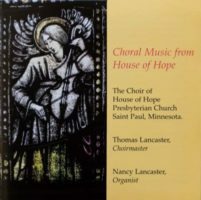 This full-color booklet describes the biblical and historical figures depicted in the exquisite House of Hope stained glass windows, and provides a brief history of the sanctuary and its stained glass artists. Funds go towards future tours and special programing for Choir School. 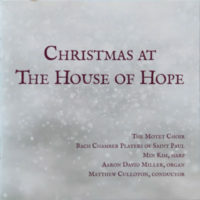 This disk features the Motet Choir collaborating with the Bach Chamber Players of Saint Paul, harpist Min Kim along with organist Aaron David Miller and choirmaster Matthew Culluoton. 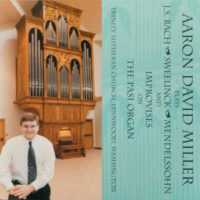 Featuring the 97-rank organ built by C.B. 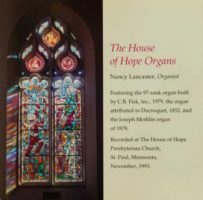 Fisk, Inc., 1979, the organ attributed to Ducroquet, 1852, and the Joseph Merklin organ of 1878. 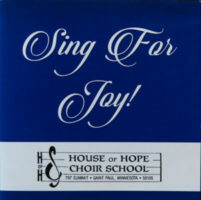 Recorded at The House of Hope Presbyterian Church, St. Paul, MN, November 1993. Aaron David Miller plays J.S. Bach, Sweelinck, Mendelssohn and Improvises on The Pasi Organ, Trinity Lutheran Church, Lynnwood, WA. Thank you for your interest in House of Hope. Please fill in the quantity of the items you would like to purchase below. A member of our staff will contact you to arrange for payment.